We’ve recently received our new style licence and we’re very pleased to say that we have been awarded a rating of 5 stars (low risk and well-managed). You can view our licence here. Spring is in the air and we’re getting ready for the summer season. Easter is a busy time too and we have lots of dogs booked in. It looks like is going to be a busy summer so it’s best to book early. 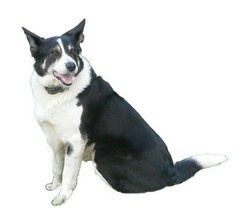 A few customers have requested an outside run for their dogs when making a booking. We just want to confirm that, in line with current Environmental Health recommendations for boarding kennels, ALL our kennels have covered outside runs. Our new cattery is available to provide for your feline friends. We have 8 spacious cat pens available in our insulated, double glazed and heated cattery, each with a sleeping shelf and provision for heated cat beds. At The Whitehouse we have the care of your loved pets at the heart of our business. Take a look at our reviews page. We aim to have contended customers who come back time and time again because their pets have been happy with us and well cared for. If you haven’t tried us yet, why not consider us for your pet boarding in 2018. You’re welcome to visit us and see our facilities to help you decide to book. We hope to speak to you soon on 01946 748453.